A nine-month mooring record was used to investigate seasonal variation and modal content of internal tides (ITs) on the continental slope in the northern South China Sea (SCS). Diurnal tides at this site show clear seasonal change with higher energy in winter than in spring and autumn, whereas semidiurnal tides show the opposite seasonal pattern. The consistency of ITs with barotropic tides within the Luzon Strait, which is the generation region of the ITs, implies that the seasonal variation of ITs depends on their astronomical forcing, even after extended propagation across the SCS basin. Diurnal tides also differ from semidiurnal tides in relation to modal content; they display signals of high modes while semidiurnal tides are dominated by low modes. Reflection of the diurnal tides on the continental slope serves as a reasonable explanation for their high modes. Both diurnal and semidiurnal tides are composed of a larger proportion of coherent components that have a regular 14-day spring-neap cycle. The coherent components are dominated by low modes and they show obvious seasonal variation, while the incoherent components are composed mainly of higher modes and they display intermittent characteristics. The mooring data used this paper were obtained by the South China Sea Mooring Array constructed by the Ocean University of China. 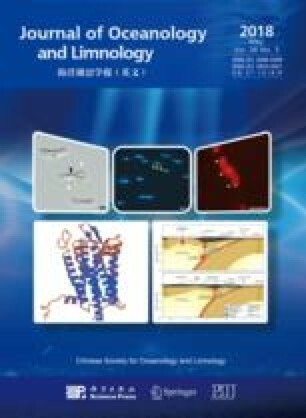 The authors deeply thank Professor TIAN Jiwei for providing the mooring data.